Sure there were other good online multiplayer FPSs before Quake 2. Doom, Duke, Marathon, even the original Quake was an A+ game. But Quake 2 was something different. Maps were designed specifically for multiplayer. Power ups thoughtfully place and the weapons were balanced. No longer could you through a bunch of gamers in map designed for 1 person to run through and progress to a goal. It changed the way designers and developers had to build their games going forward, with multiplayer equally or in some cases more important than single player. 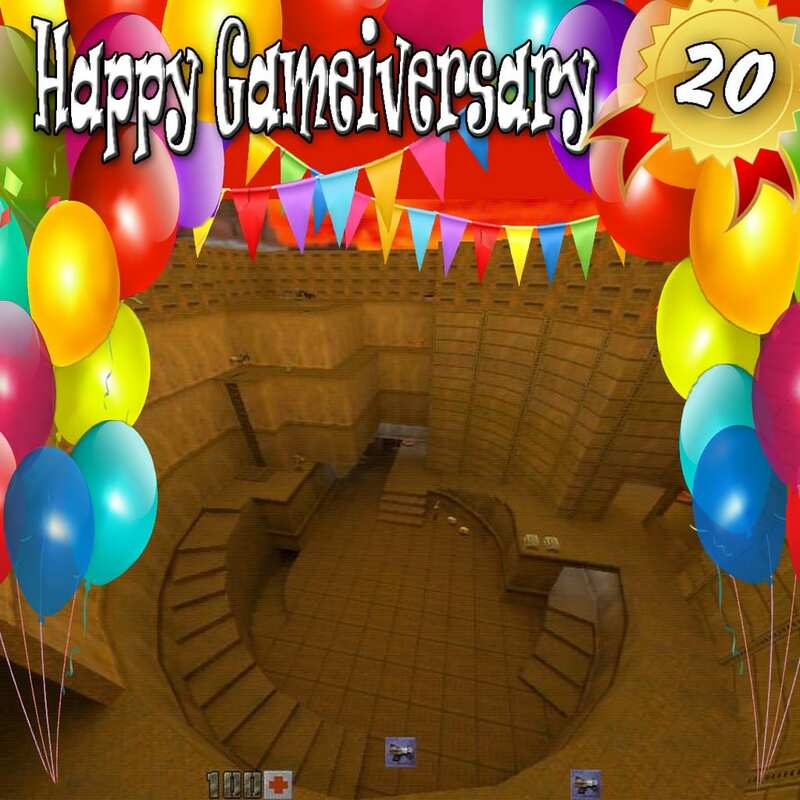 Happy 20th Gameiversary to Quake 2! The first game first FPS that perfected online multi-player. This entry was posted in Blog and tagged FPS, Gameiversary, PC, Quake.